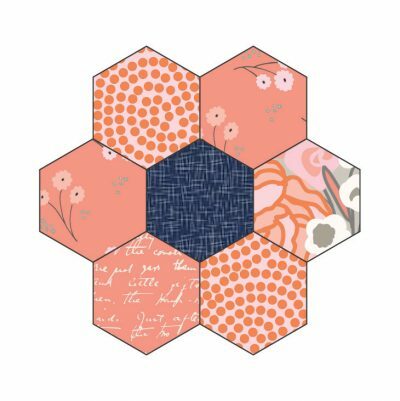 You guessed it, this week we are continuing to make the coral hexagon flowers! To get started you will need your Sue Daley Sewline Glue Pen, Milliners Needles, Rotating Mat, Superior Bottom Line Thread and 3/4″ Hexagon papers and acrylic template. All of these supplies can be purchased through your favourite Sue Daley Stockist. 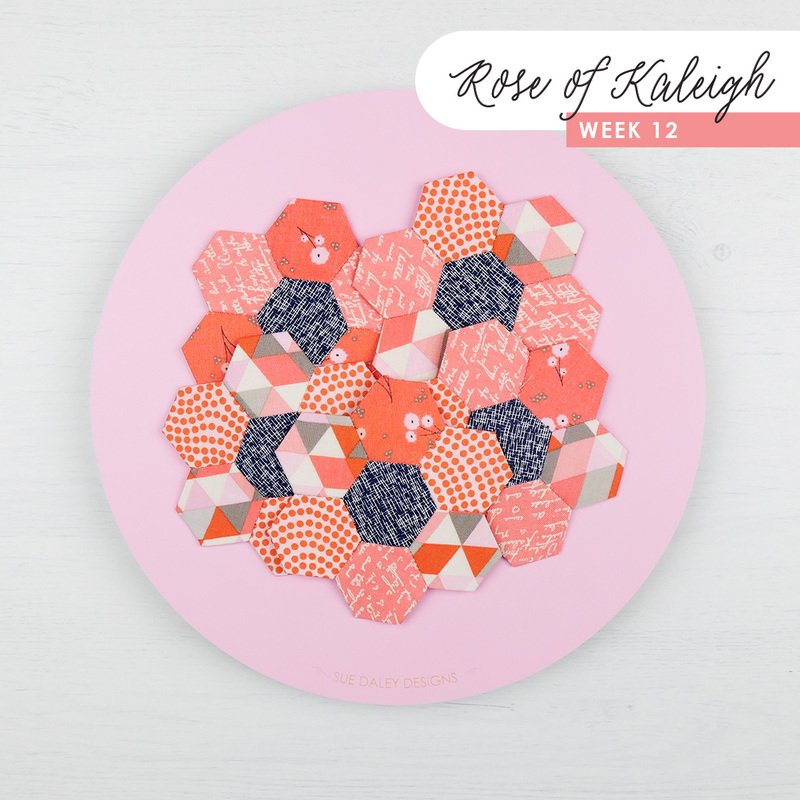 If you are just joining in, my first Rose of Kaleigh blog post has the full requirements list and link to a grid layout of the quilt. You can view this here. Using my glue pen method, prepare your shapes. Start from the centre and build your way out to complete the block as shown below. If you are new to EPP, you can download a set of my instructions here, or visit my youtube channel to watch my tutorials. I’d love to see your progress so please tag me (@suedaleydesigns) and use the #roseofkaleighsal hashtag if posting on social media.